- ... See More Why Podcasting? Why has it recently grown faster? - What type of audiences are you going to reach? Why Podcasting? Why has it grown faster lately? Opt-in, one-on-one personal environment where ads are not only expected but embraced by listeners, making real connections that lead to tangible results. More than ever, now is the time to take a serious look at what a podcast sponsorship can do for your brand. growing demand for better data on all sides - just the beginning and not very impactful yet! What type of audiences are you going to reach? becoming more diverse. In just 12 months, non-white listeners have grown 20%, up to 36% in 2017. • 78% don’t mind the ads because they know sponsors support the podcast. combination of targetability and the receptivity to advertising is what makes podcasts work. multiple pre-rolls in 1 episode. from :30-:60 seconds, but can be any length. again to check out the company or simply remind them of the sponsorship. Offer Code/Promo Code/Offer Code: Most podcast ads offer listeners a unique promo code and/or dedicated website to visit, which allows sponsors to track how many conversions they're getting. Podcatcher/Podcasts App: Or podcast client is a program or app used to download podcasts. Apple Podcasts reigns supreme, but others include Stitcher, Spotify, RadioPublic, and Pocket Casts. vendors may allow buys based on impressions, which are calculated based on downloads. Listen, Plays: Not sure podcasting industry has got firm and clear on how plays, listens are counted. We are getting close. IAB is making progress on this. Progressive Downloads can be counted as plays and listens too. be tracked for all ad units (pre-roll, mid-roll, and post-roll). RSS feed: Host Server generated XML document URL that contains text metadata, image and episode list that includes link URL’s to .mp3 files and episode level text title and descriptions. Webplayer/Widget Player: Transportable programming code that can be cut & pasted to be placed in your website to enable an audio player experience on an external show website or blog. 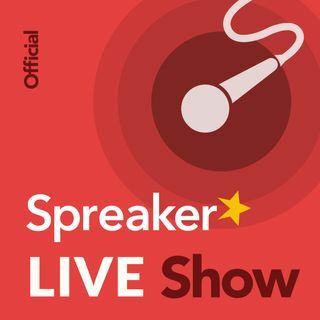 Does Blogger Talk Radio have a podcast listening app?